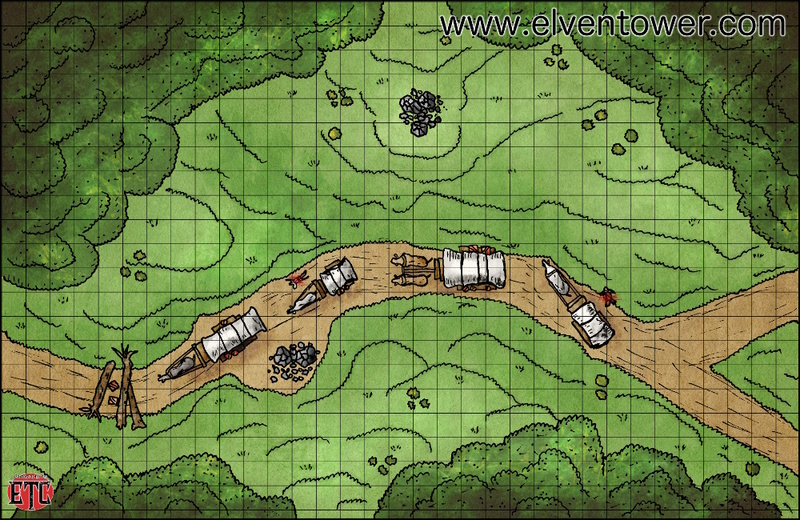 Today I want to share this outdoors map of a road blocked by bandits ! 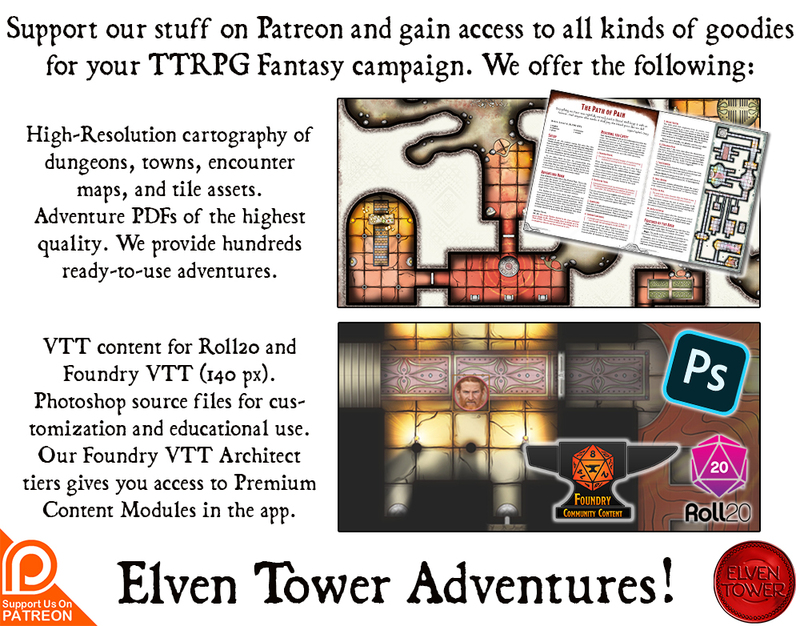 Check it out, it’s free and has my cartography. But other than that, here are the two pics. With and without grid. If you don’t use the adventure. A suggestion to use this is to either have the party attacked by bandits while on the road. Or have the party coming from the opposite direction, and they can try to stop de bandits from robbing a caravan.